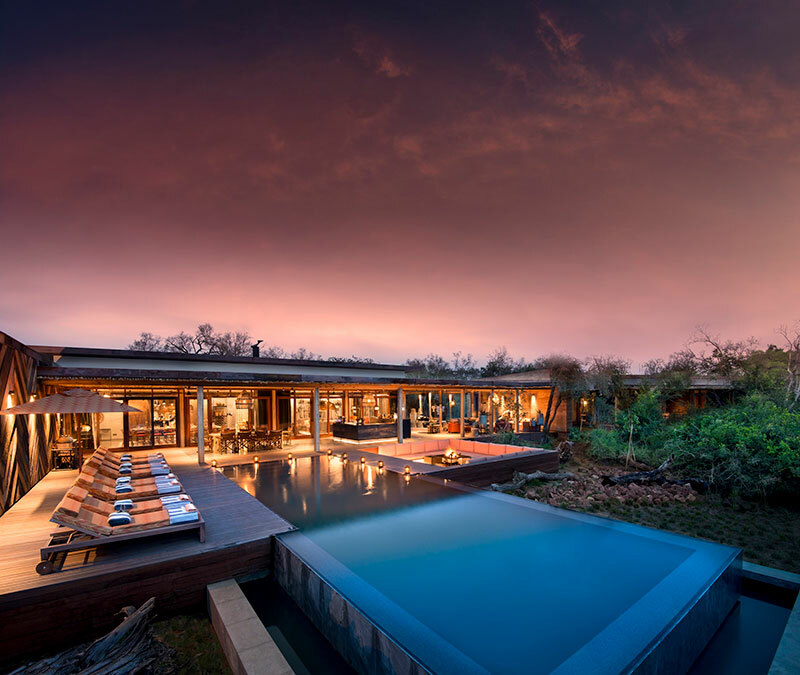 Dreaming of a unique and immersive South African wilderness experience? 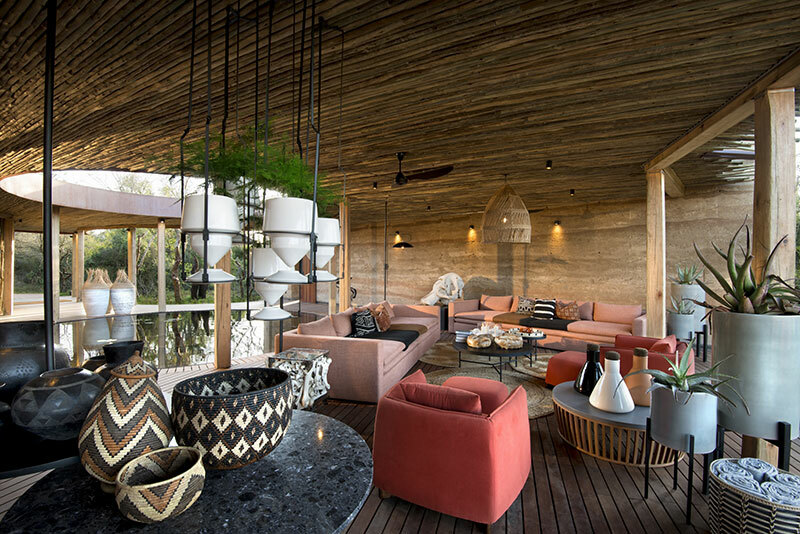 The newly refurbished and reopened andBeyond Phinda Homestead might just be the ticket. 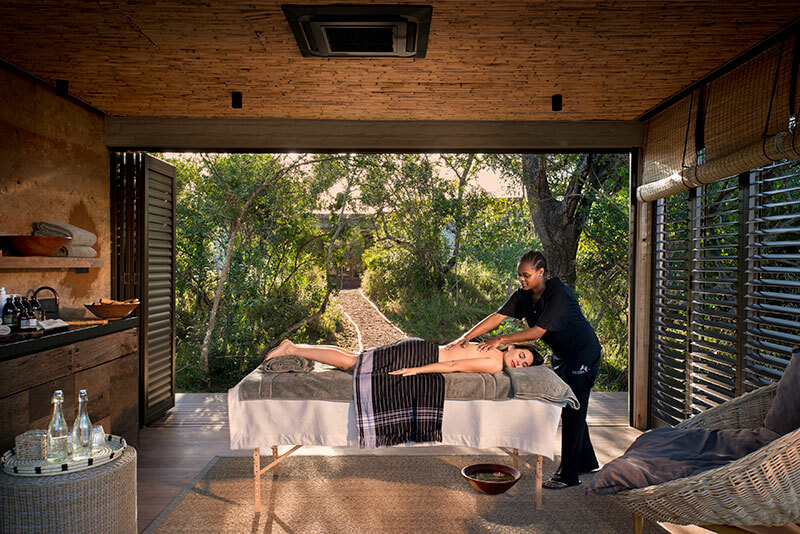 Found in the country’s KwaZulu-Natal Province, the homestead offers exceptionally luxurious and personalised services in phenomenal surrounds. Booked as a single unit, the four bedroom lodge is ideal for families or groups travelling together. There is space aplenty in the lodge that allows for a perfect mix of private bed and bathroom areas with expansive communal living spaces. It even features a private fitness room with state of the art equipment for those who want to work up a sweat on holiday. 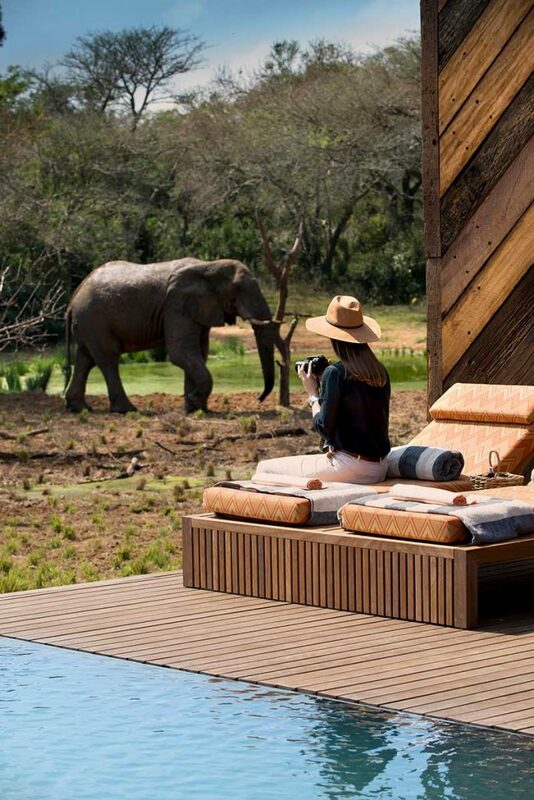 The lodge also comes with its own private chef, a dedicated ranger and tracker team and a private safari vehicle. 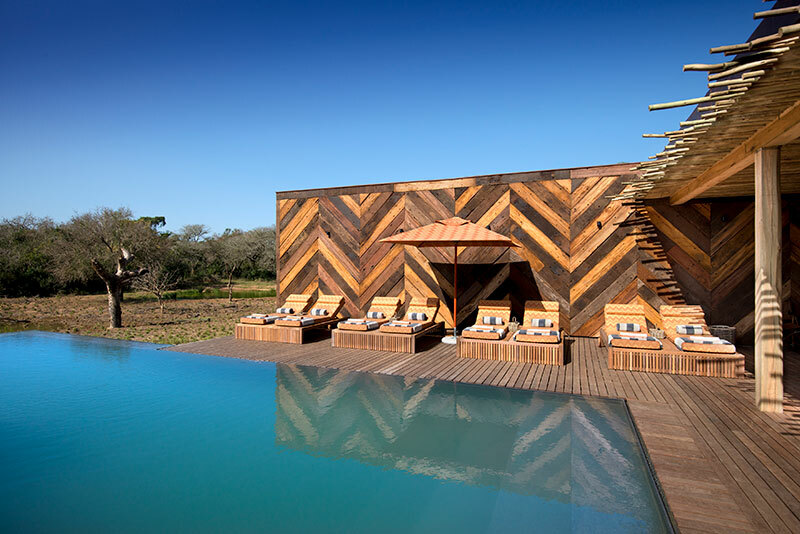 The lodge’s design is a stunning ode to the local Zulu culture. 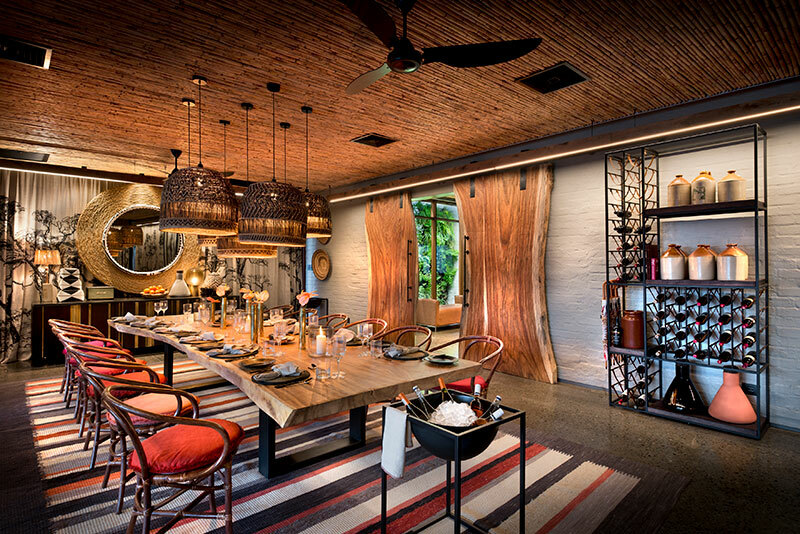 Detailing like traditional Nguni hides, pottery and textiles are featured throughout. 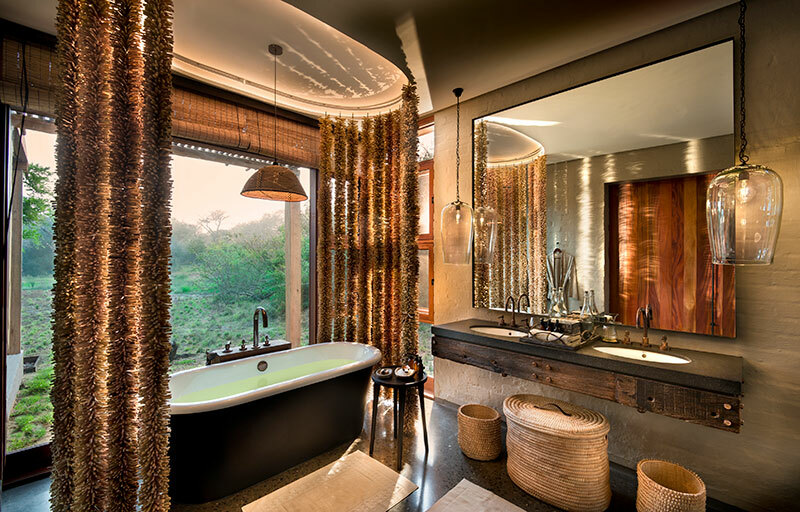 Zulu reed tasseled curtains found at a roadside stall were installed in the opulent ensuite bathrooms, while hand-woven baskets and weaving created by Khanyisele Crafts in the Nongoma community are featured prominently through the lodge. Expansive open spaces and floor to ceiling glass panes seamlessly blend indoors and out. 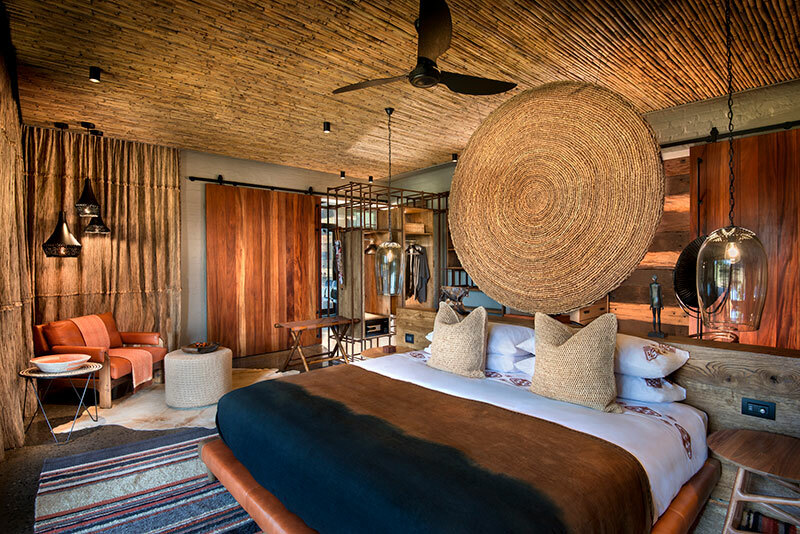 Natural materials in earthy tones are also used throughout the lodge to aid in the immersive “bush home” experience. 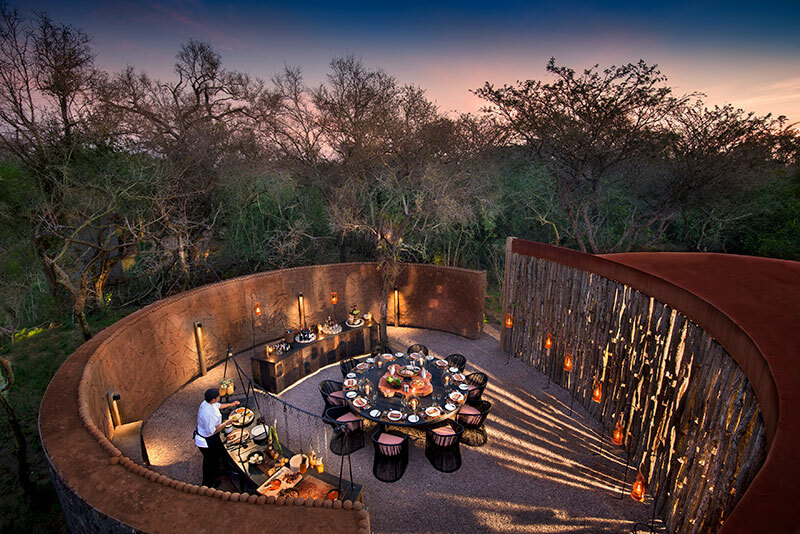 Enjoy a personalised and privately catered meal in comfort while enjoying the sights and sounds of the South African wilderness. andBeyond offers fully personalised safaris and adventures for their guests that make for truly unique experiences. The accommodation and tour group has a large stable of properties across Africa, Asia and South America. They abide by the ethos of caring for the land, wildlife and people where they operate while providing guests with unparalleled experiences. Go to andbeyond.com for more information about the newly refurbished andBeyond Phinda Homestead.